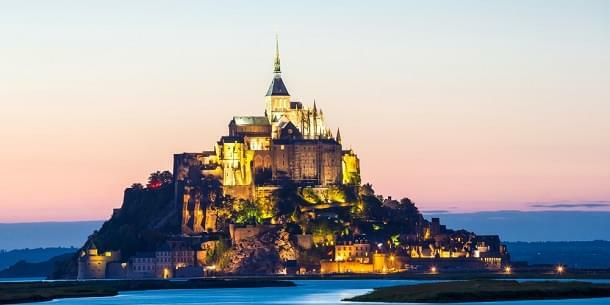 Mont Saint Michel, a UNESCO World Heritage Site, is often called the Wonder of the West. During high tides, its slender towers and sky-scraping turrets, encircled by stout ramparts and battlements, appear to rise out of the middle of the bay. In addition to being home to the abbey that is its namesake, this feudal town once served as an impenetrable fortification and jail. First consecrated in 706 A.D., and under construction for over six centuries, this amazingly preserved island now has only 50 permanent residents. Located in Normandy, it is a French icon receiving millions of visitors every year. 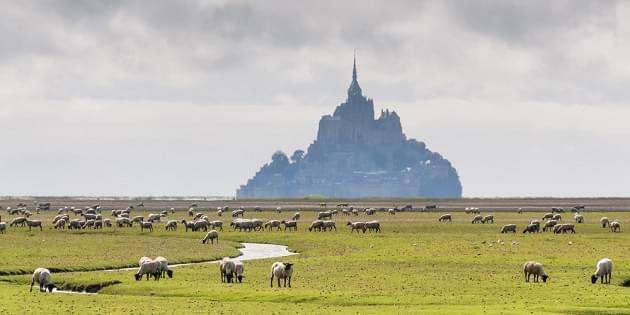 The Bay of Mont Saint Michel is at its most spectacular twice a month, during the highest tides. It is worth trying to time your visit to these days, when the water completely surrounds the town. The tidal difference here can reach 49 feet, which is the highest tide in Europe and second only to the Bay of Fundy in Canada. The closest airport to Mont Saint Michel is Rennes-Saint-Jacques. Though it’s a regional airport, it’s possible to fly there with miles. It’s a great option if you want to explore Brittany and Normandy in addition to Mont Saint Michel. 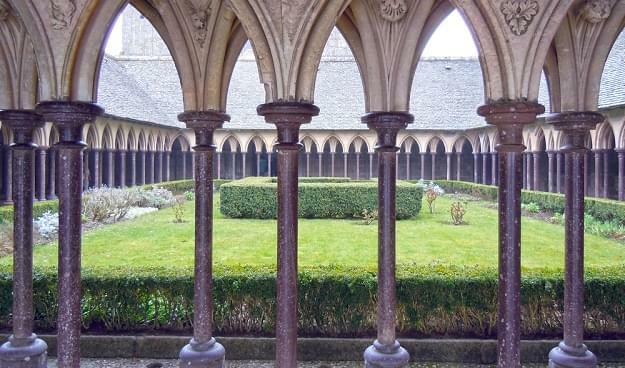 You can also fly to Paris and take a day trip to the abbey using the high-speed TGV train to Rennes or Pontorson, and then a bus to the island. The total journey takes about five hours. But flying directly to Rennes-Saint-Jacques airport cuts this time by at least three hours. You will pay 60,000 miles for economy and 125,000 miles for business, roundtrip. First class tickets can’t be purchased with SkyMiles. Of course, flying to Paris gives you a lot more options. United Airlines via Chicago, New York, San Francisco and Washington, D.C.
Air France via Atlanta, Detroit, Houston, Los Angeles, New York, San Francisco and Washington, D.C. If you can schedule your trip during American Airlines’ off-peak dates, you’ll get the most value for your miles. You’ll save 20,000 miles on economy tickets to Paris between October 15 and May 15. During the rest of the year, you can fly coach on any of the alliances, and to either airport, for the same price. American also offers the best business and first class rates.